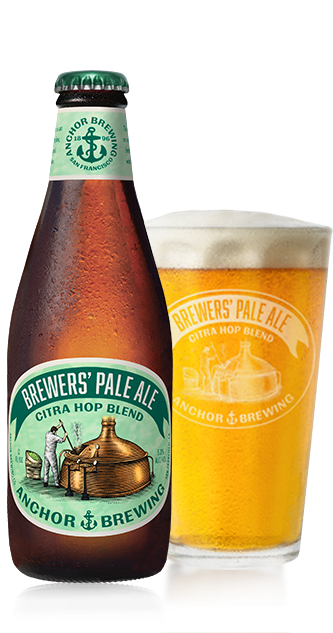 A modern American Pale Ale with the fresh aromatics of an ever-changing blend of our brewers' favorite hops for a bright, crisp, delicious and perfect go-to beer. "A killer, everyday pale ale!" Pours a clear orange-golden color. Has a grainy smell with some sweet malts and lemon hints. Flavors include citrus, some yeast and bready malts, and finishes with a light hops. 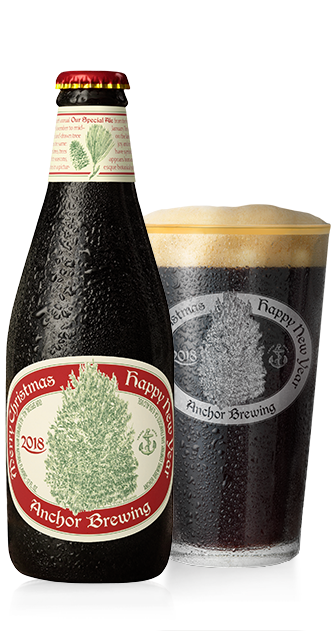 This highly anticipated holiday seasonal offers both a unique recipe and label illustration each year. Always rich and complex, this is a great beer to enjoy with friends and family through the season. 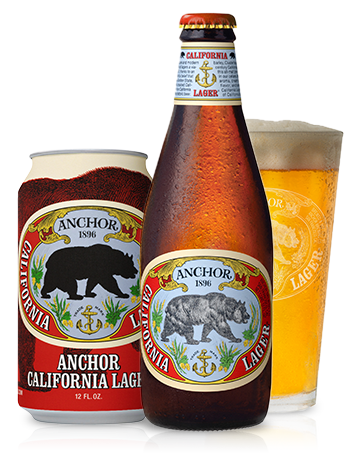 In 1975 Anchor pioneered the revival of dry-hopped handmade ales. 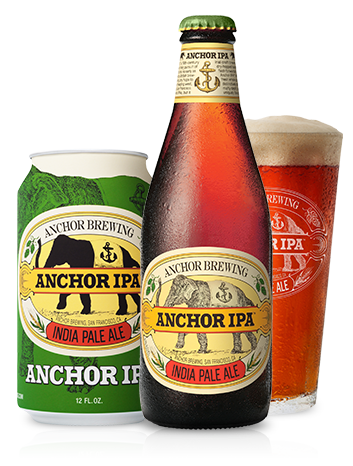 Anchor IPA is made with 2-row barley malt and fresh whole-cone hops, offering a bright amber color, spiky bitterness, malty depth, and clean finish. Beautiful pale gold in color, this ale was first brewed in 1975 long before most craft brews were even thought of. 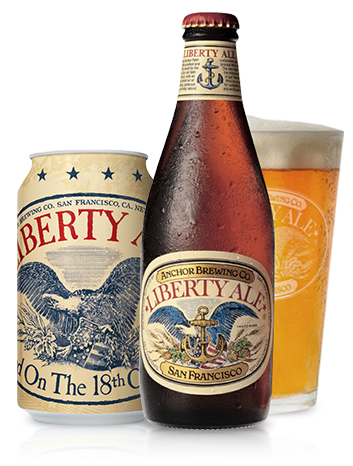 Liberty Ale is crisp with a terrific hoppy bitterness that plays off the Two- Row barley very well. 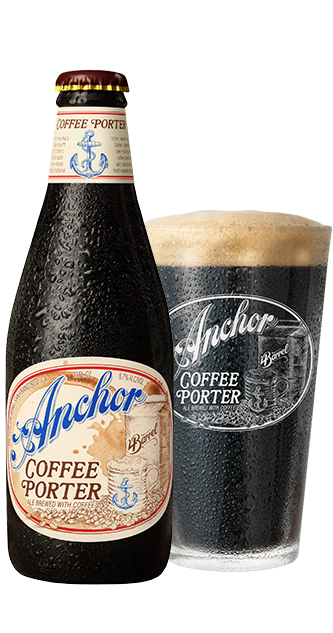 Specially roasted dark malts are used along with a top-fermenting yeast that produce an thick, opaque ale. The brew is hopped at a very high rate adding complexity to the chocolate, toffee, and mocha notes produced by the roasted 2-row malt. 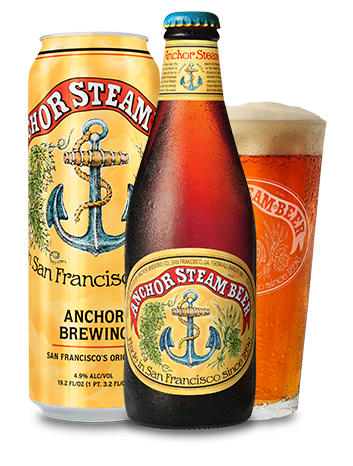 I’m Iconic Anchor Steam derives its unusual name from the 19th century when "steam" seems to have been a nickname for beer brewed on the West Coast under primitive conditions and without ice. This process produces a dark amber lager with lovely malty/hoppy aromas.